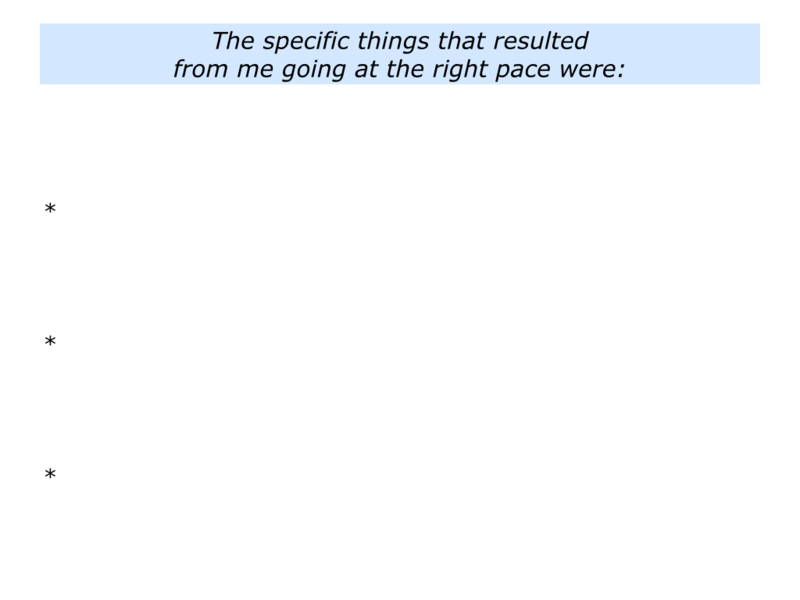 Looking back, when have you done something at the right pace? You may have been making a crucial decision, recovering from an illness, building a relationship, tackling an urgent challenge or whatever. 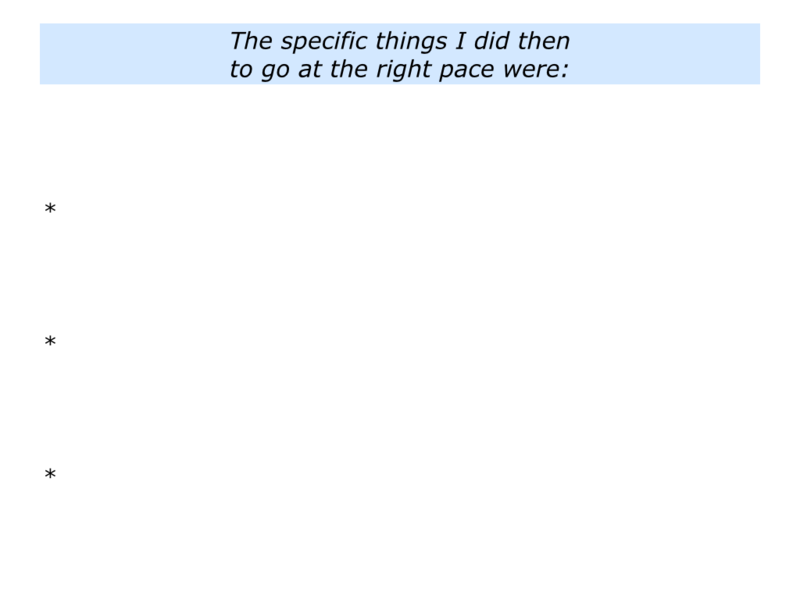 What did you do right to go at the appropriate pace? 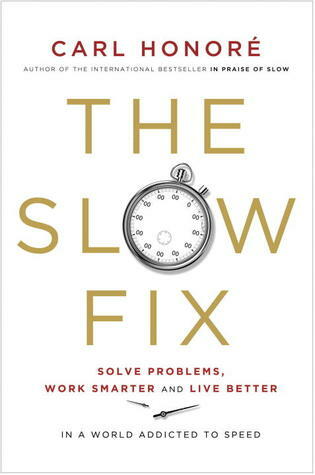 Carl Honoré struck a chord with his books In Praise of Slow and The Slow Fix. He believes that human beings can enrich their lives by doing some things more slowly. You can discover more about this approach at his website. 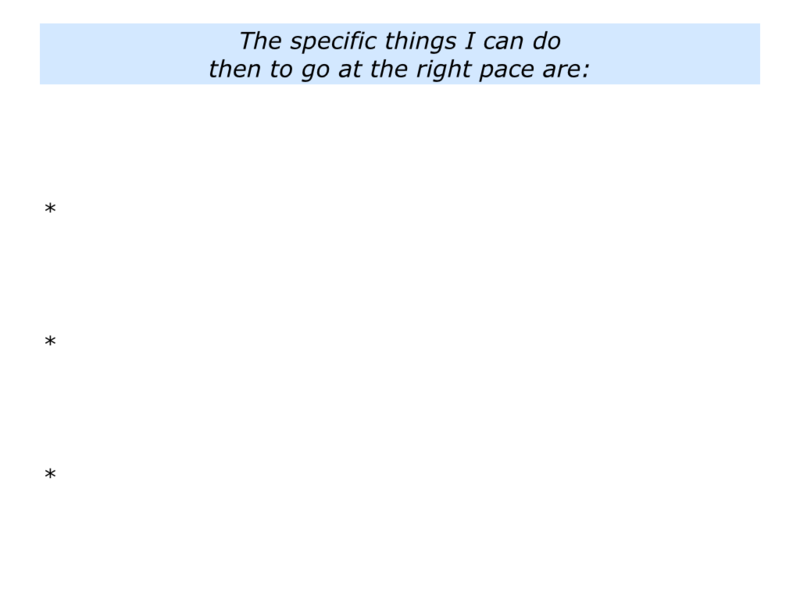 Carl is not against speed in itself. 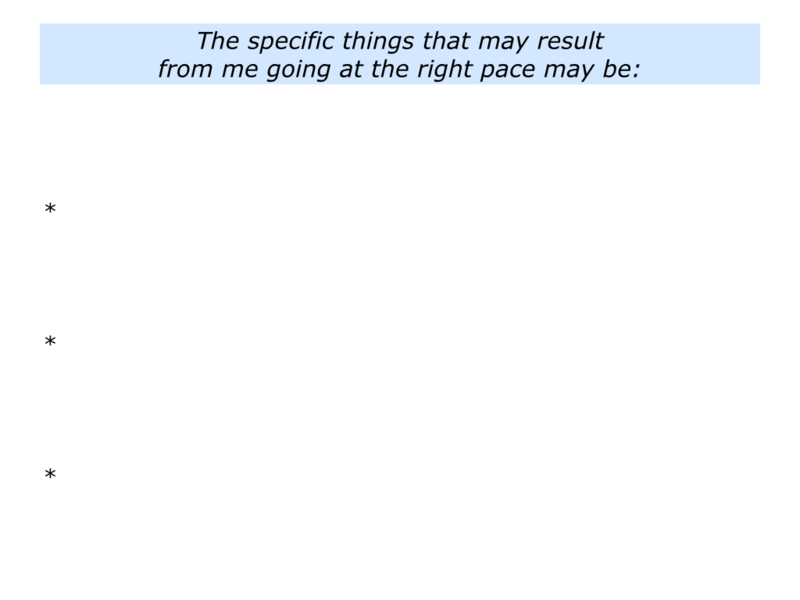 In fact, some things need to go more quickly. On the other hand, people can become addicted to filling their time with as many activities as possible. Sometimes this is necessary, but sometimes it is counter-productive. Good decision making, for example, often calls for balancing fast thinking and slow thinking. Fast thinking generates the pieces of the jigsaw, but slow thinking helps us to make sense of the whole picture. Many of our epiphanies come from doing some slow thinking. Good decision makers start by defining the real results to achieve. These could range from, for example, ‘peace of mind’ to ‘higher productivity’. 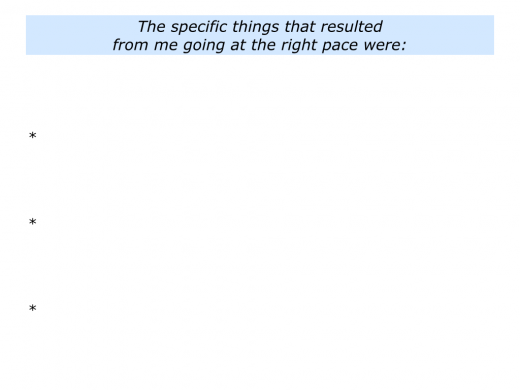 They then follow the right strategy at the right speed for achieving these results. Such decision makers focus on: a) Effectiveness; b) Efficiency. Being effective calls for climbing the right mountain in the right way. It then calls for pursuing these strategies efficiently. Unfortunately many organisations are trying to climb the wrong mountain more efficiently. Peak performing people, teams and organisations recognise the importance of pace. Sometimes they will need to go slowly; sometimes they will need to go extremely quickly. It depends on the results they want to achieve. One soccer team I worked with, for example, aims to start matches at a high tempo. The club’s training centre has the following instructions written on the wall: “Start on the front foot. Win the ball. Dictate the pace.” The players aim to take control and dictate the rhythm of the game. 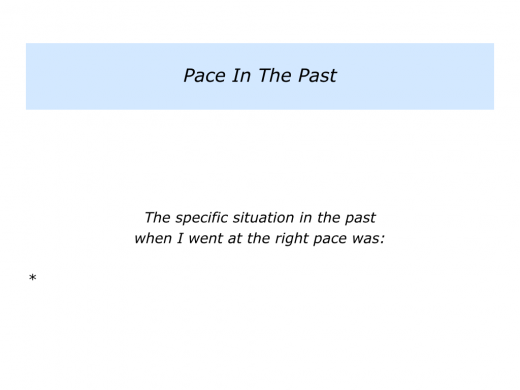 Describe a specific situation in the past when you went at the right pace. 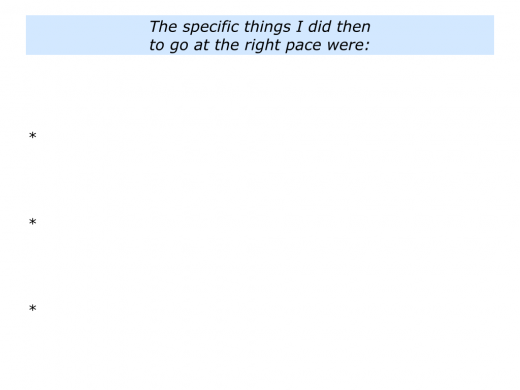 Describe the specific things you did then to go at the right pace. 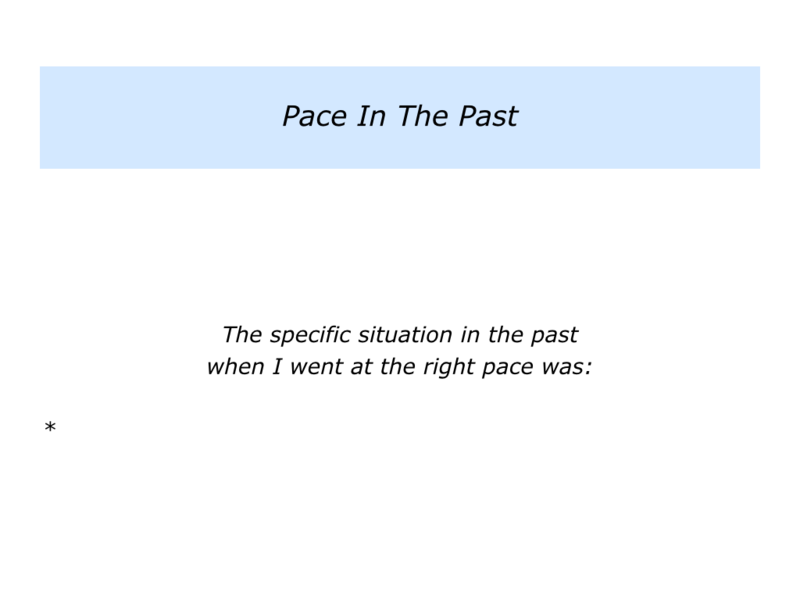 Describe the specific things that resulted from you going at the right pace. 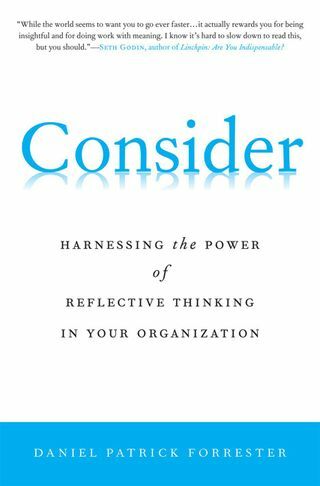 Daniel Forrester describes the value of going at the right pace in his book Consider: Harnessing The Power of Reflective Thinking In Your Organization. 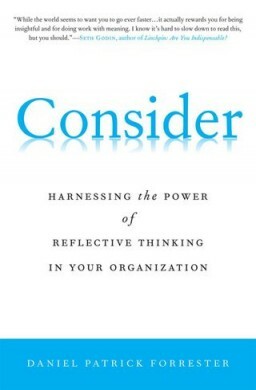 He encourages people to take time to reflect before making decisions. Some decisions do need to be made quickly. But there is often time to consider the options and improve the chances of success. Here is some background from Daniel’s website. Forrester shows us that taking time and giving ourselves the mental space for reflection can mean the difference between total success and total failure. 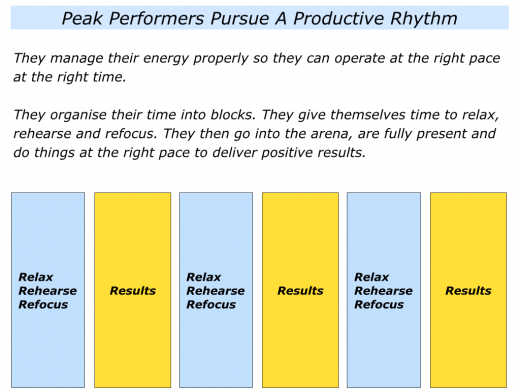 Peak performers often develop a rhythm to go at the right pace. They may do this when writing a book, training for a marathon, turning around an ailing company or whatever. 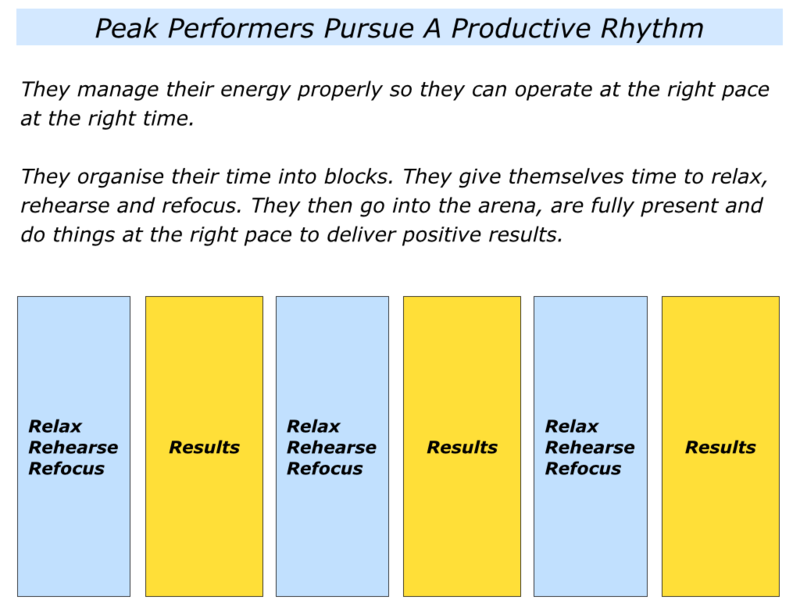 Peak performers often divide their time into blocks. 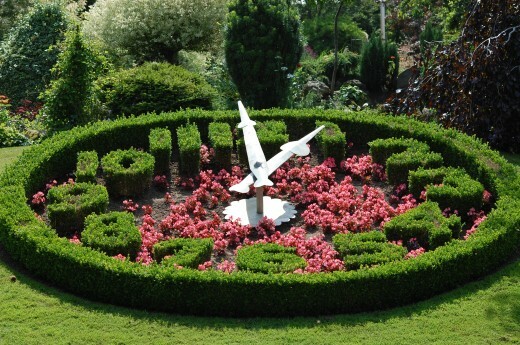 This enables them to build in time to relax, rehearse and rise to the occasion when it matters. Let’s return to your own life and work. 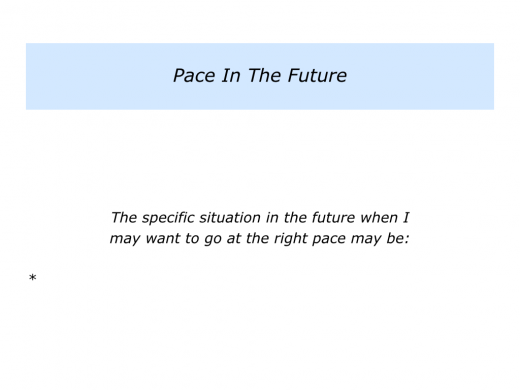 Looking ahead, can you think of a specific situation when you may want to go at the right pace? This could be in your personal or professional life. 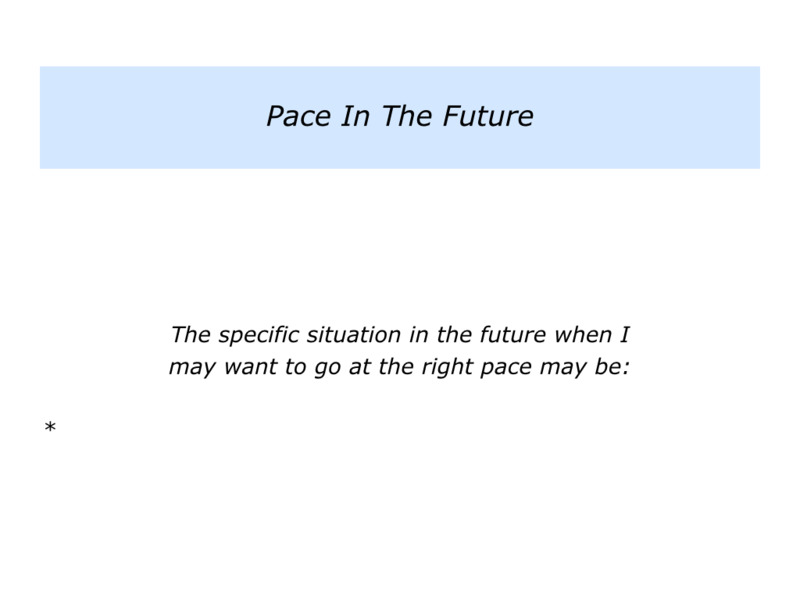 Describe a specific situation in the future when you may want to do things at the right pace. 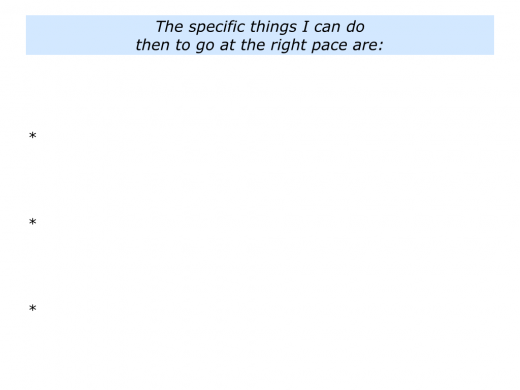 Describe the specific things you can do then to go at the right pace. Describe the specific things that may result from you going at the right pace in that situation.